The Group Training Walk incorporates both mental and physical exercise for you and your dog. This twice monthly, Thursday night, 60 minute group walk, gets you and your dog moving while also reinforcing some basic commands. Cost for Training Walks is $25 per dog. All walks take place in the Estero Bay area, locations will be determined as people sign up. The group will be cancelled if the minimum number of participants is not met. Please submit a registration form (located on the class schedule page) to sign up. Unfortunately, no discount is applicable. If you have any questions or need additional information, please contact Good Dogma. This class is targeted for dogs 4 months and older with little or no prior training. The class combines 3 phases of learning. First is simple command learning — sit, stay, come, down, etc. Using games and clickers (optional), this also includes focus and impulse control activities. The second phase involves advancing your dog’s socialization skills with dogs, strangers and new environments. The third phase incorporates discussion and solutions regarding common puppy/dog behaviors such as nipping and jumping. In addition to the training exercises and activities, we will guide you through a comprehensive puppy massage. To obtain certification as a pet therapy team, you and your dog will need to master specific skills. 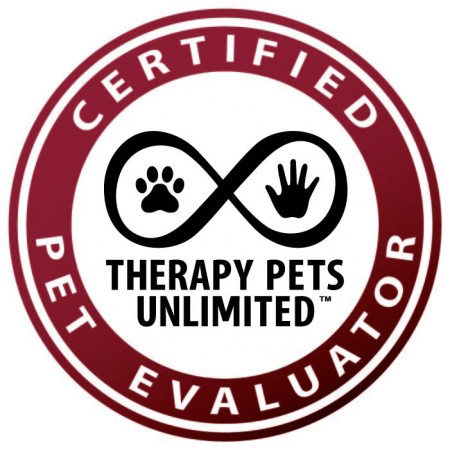 This 4 week class, for dogs over 1 year of age, will cover commands and behaviors required to achieve certification from a Pet Therapy evaluator. Basic commands will be reviewed, reinforced, and tested, including loose leash walking, leave it and focus. There are no “formal” prerequisites for the class, however, your dog should be consistently responsive to basic obedience commands. This class does not teach basic commands. Your dog should be well socialized and comfortable around people of all ages, sizes and colors. Come, stay, and heel commands will have several added distractions, including movement, toys, food, sounds, and hospital equipment. Impulse control behavior will include “Leave it” and the Toy/Food “Gauntlet.” We will also utilize optional clicker training to work on shaping behaviors such as “Touch”, and work on desensitizing your dog to be comfortable when handled by strangers. Exercises will include a complete body exam including petting, hugging, tugging, and changes in vocal inflection. Private Instruction is extremely beneficial for dogs (and owners) with behavior issues, or if you are unable to join a group class. Private instruction allows us to focus on whatever you feel needs to be addressed and resolved; jumping, leash or doorbell reactivity, or just basic manners, you set the agenda. The first meeting involves an evaluation/discussion of the family/canine dynamics, an assessment of behaviors, then making a plan for you to implement. Good Dogma helps you understand how human behavior affects the behavior of the dog. The first session will leave you with new knowledge and tools to incorporate into your training homework. In order to maintain consistency and promote success, private instruction requires a commitment of 3 training sessions. The 3 sessions must take place within a 5 week period in order to avoid an additional cost. Each meeting will be 60 minutes. The base charge is $250. Depending on your location, it may be higher. Payment in full is due at the conclusion of the first meeting, and there are no refunds. Consultations/Assessments : A single 60 minute in home consultation is available for certain behavior issues. The base charge is $90. Depending on your location, it may be higher. Please contact Good Dogma for this option. Brief, one-day sessions on important topics for all dog owners and prospective owners. Seminars (humans only) and workshops (bring your furry one) vary in price, and are held at various locations. Please check the website calendar for any upcoming events. It cannot be emphasized enough that understanding how your dog thinks and learning to communicate using canine language is critical to getting the response or behavior you desire. It is Good Dogma’s mission to educate people on how to use both their body and voice in unison to reinforce correct responses/behavior and extinguish inappropriate responses/behavior. Good Dogma can help you eliminate, manage or change unwanted canine behaviors. Instead of telling the dog what you don’t want it to do, teach alternative behaviors that will earn the dog praise. Good Dogma uses a tool bag of methods including, positive reinforcement, sound aversion, toys, and treats to change problem behaviors. We do not believe in using punishment as a tool to change behavior. A clicker is a small hand held tool used to reinforce good behavior. It is always followed by a treat. This routine is called Classic conditioning, where the stimulus (clicker) is followed by reward (food) — think Pavlov and his dogs. At the point, when the dog’s brain has been wired, or conditioned, to the new behavior, the clicker and treats are eliminated. Clicker training is an effective tool, but takes some coordination and timing practice to get used to. Good Dogma relies on the use of a variety of positive reinforcement training techniques to promote the continuation of desired behaviors. When your dog associates good rewards with a behavior, they are more likely to repeat those behaviors. Good Dogma is certified by the AKC to provide Canine Good Citizenship (CGC) certification. In addition to the immediate benefits of having a well-mannered dog, CGC certification can be a first step to having your dog become a therapy or service dog. This means your dog can visit hospitals and convalescent or retirement homes, and be welcome at some hotels. There are 10 exercises the dog must pass to gain certification. For more information on the CGC visit the AKC website at AKC.org. Good Dogma is available for CGC consultation, review, and testing throughout the year. Good Dogma offers overnight pet sitting for your pets. All animals are provided for, from fish to birds and all creatures in between. Pet sitting services include bedding/litter box changes, playtime, walks and reinforcement training for dogs, if desired. Yes, we’ll even walk your cat or bearded dragon! For dog walking on a daily basis, without pet sitting, is $35 for 30 minutes, or $50 for one hour – depending on your location. Visit our Pet Sitting Page for details. Senior discount: (human) clients over 55 are eligible for a $10 discount on classes only. Good Dogma offers gift certificates for any of the services we provide.